People who have diabetes live with many hardships and issues. It is safe to say that more attention to health detail is required by diabetics. According the American Diabetes Association there are over 23.6 million children and adults that suffer from diabetes. This constitutes an alarming 7.8% of the total U.S. population. What many people do not realize about diabetes is the potential damage that this disease can do to once stable vision. If blood sugar levels increase and high levels are encountered, changes can occur in the optics of the eye, resulting in blurred vision. Diabetics are required to have regular eye exams to monitor overall eye health. Diabetic eye disease typically involves a series of potential diseases and eye problems that occur as a result of a patient being diabetic. All of these diabetic eye diseases or issues can actually cause permanent vision loss due to the fact that they all focus around the area of the retina and the optic nerve. It is important to understand that the optic nerve is responsible for transmitting the images collected by the eye to the brain. Some of the main diabetic eye diseases include diabetic retinopathy, glaucoma, retinal detachment, and even the development of cataracts sooner than expected. 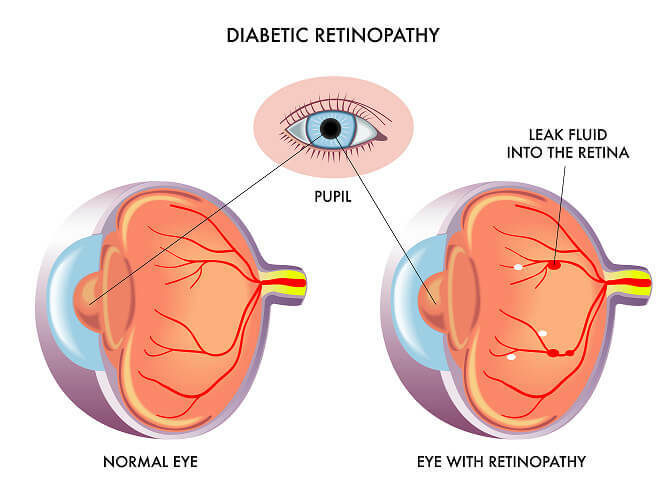 The most frequent visual impairment caused by diabetes is diabetic retinopathy, a condition in which changes occur in the tiny blood vessels that nourish the retina. In the early stages of diabetic retinopathy, small blood vessels weaken and leak fluid or tiny amounts of blood, which distort the retina slightly. Diabetic retinopathy can strike even with previous diagnosis and treatment. 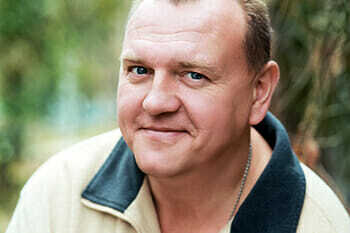 The chances of having some form of diabetic retinopathy increase the longer a person has had diabetes. It is estimated that 25% of people with diabetes have some level of retinopathy. Research has shown that severe visual loss from diabetic retinopathy can be prevented or delayed by laser treatment, but only if the retinopathy is diagnosed early enough. Annual eye exams are a must for diabetics. If you are a diabetic you can significantly reduce the risk of developing diabetic retinopathy by using common sense and taking good care of yourself. The following list is an example of some good things that diabetics can practice that will help maintain proper eye health. Eat healthy and maintain proper diet. If your vision becomes blurred, if it becomes difficult to read, or if vision becomes spotty or hazy, a diabetic should consult his or her eye doctor at Texas Eye and Laser Center right away.